Our members have taken a personal stand to help those who are less fortunate. Every child deserves the right to life. A life without access to the fundamentals is often the harsh reality for these Haitian children, and to deny them of such is unthinkable. The continued dedication of the H.O.W members and your financial support help alleviate some of these hardships. H.O.W is distributing thousands of book bags throughout Haiti. Educating the disadvantaged and orphaned children is our primary focus but providing nutrition and shelter is also important. H.O.W is sponsoring “Canteens for the Children in Haiti” that provides meals and other necessities to many school children in La Plaine Haiti. H.O.W is sponsoring the S.C.P Vocational School in Fontamara Haiti. Too many of our youth do not have a future or career after their High School or College graduation. H.O.W is sponsoring a newly opened Sewing and Cooking School, “La Solution Centre Professionnelle” (S.C.P), that is offering a two year program which culminates with a professional certificate. H.O.W provides assistance for the schooling of Haitian children as well. The lack of access to an education remains a key obstacle to social and economic development for disadvantage children in Haiti. H.O.W is doing something about it. 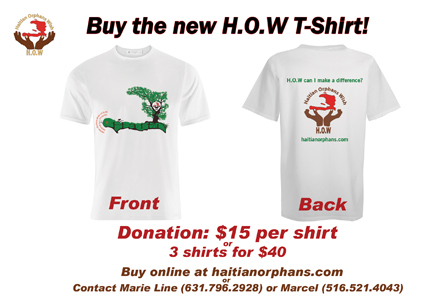 H.O.W is providing school uniforms for Orphanages throughout Haiti. H.O.W is instituting a program to provide school uniforms to qualified orphanages that send their children to school. These uniforms will be fabricated in Haiti by “La Solution Centre Professionnelle” (S.C.P) sewing school to provide their students with experiences in making quality shirts and pants for children. This program will eventually provide employment for the S.C.P graduates and uniforms for our school children. H.O.W is rooted in the belief that every child deserves the right to life. As the economic and social situation worsens in Haiti, many forget the thousands, possibly millions, of children who are not only born into poverty but have no family to depend on. These children are our priority. Through sponsored events, H.O.W raise funds and use the proceeds to support orphanages and provide education assistance to orphans in Haiti. Established in September 2003, Haitian Orphans Wish (H.O.W) is a 501(c)(3) organization based and registered in the State of New York, USA. The mission of H.O.W is to provide short and long-term physical, financial, educational and nutritional help to as many Haitians orphans as possible. We also want increase self-sufficiency by providing vocational educations to these children as they become the future leaders of Haiti. 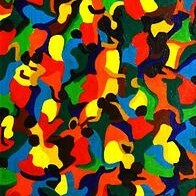 H.O.W is comprised of many dedicated friends who came together to help the abandoned children in Haiti. Our members have taken a personal stand to make sure that Haiti’s disadvantaged children are the only ones who benefit from our donations. We gather and send food, clothing, school supplies, built and finance school programs as well as other necessities to Haitian organizations and other programs that benefit those children. The catastrophic earthquake of 2010 and the cholera epidemic, only served to exacerbate all of Haiti’s problems. As a result, H.O.W donated over $15,000 to the Earthquake Relief Fund that was established to provide assistance to Haitians. H.O.W also has supported organizations such as the “International Red Cross”, “Doctors without Borders” and “Habitat for Humanity” in their effort to provide humanitarian relief to Haiti. We need your support and participation to help these orphanages and other projects which H.O.W itself initiates. H.O.W operates entirely on an all-volunteer board and without a compensated staff. As a result, all funds we receive benefit our charities 100%.